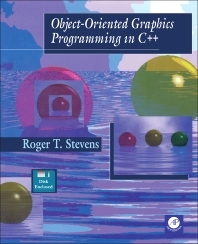 Object-Oriented Graphics Programming in C++ provides programmers with the information needed to produce realistic pictures on a PC monitor screen. The book is comprised of 20 chapters that discuss the aspects of graphics programming in C++. The book starts with a short introduction discussing the purpose of the book. It also includes the basic concepts of programming in C++ and the basic hardware requirement. Subsequent chapters cover related topics in C++ programming such as the various display modes; displaying TGA files, and the vector class. The text also tackles subjects on the processing of objects; how the ray tracing process works; how to put the program together and compile and run it; and animation. Computer programmers will find the book very useful.